Today we went on an organized tour of the Stuttgart area to get acquainted with the public transportation system. The base calls the free, day long tour the "Host Nation Orientation" class. We took the subway downtown and rode the bus. 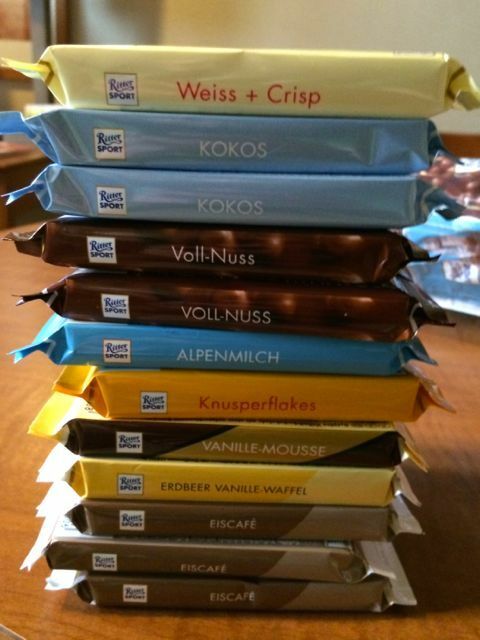 But one of the best parts of the day was the stop at the Ritter Sport chocolate factory in Waldenbuch. 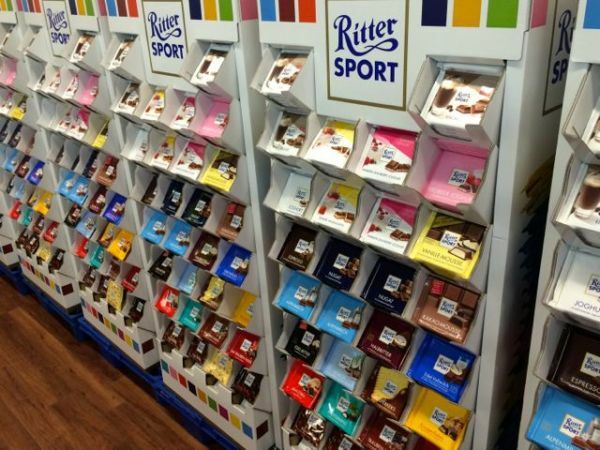 Ritter Sport makes hundreds of flavors of chocolate treats that can be bought around the world! And the company HQ is right here!! We toured the museum and the small gift shop, tasted some chocolate, and we bought some chocolate too. That's about it, but I just wanted to share some photos of the trip and our spoils. More later!